I’m at the ribbon cutting ceremony for the Broadway Apartments affordable housing project where we have 40 solar water heating systems installed. This is the largest polymer solar collector water heating project in Florida! Solar water heating will reduce the electric bills for residents of the two-building multi-tenant property. The goal of the project is to provide affordable housing that features low utility bills in a LEED Platinum facility. The solar water heating systems were one part of the LEED criteria that allowed the Broadway Apartments to achieve Platinum status. 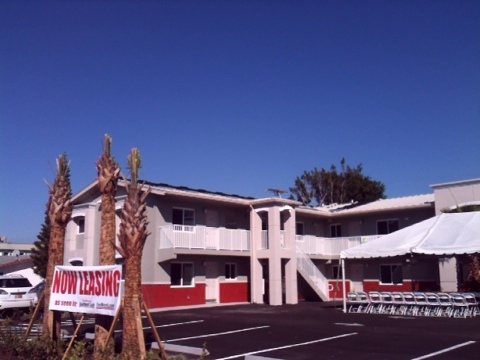 The Southwest Florida Affordable Housing Choice Foundation reports that previous residents are already asking for applications to rent units. The property is deed restricted so rents will remain low for the long-term. The community is actively seeking residents for annual leases available now. 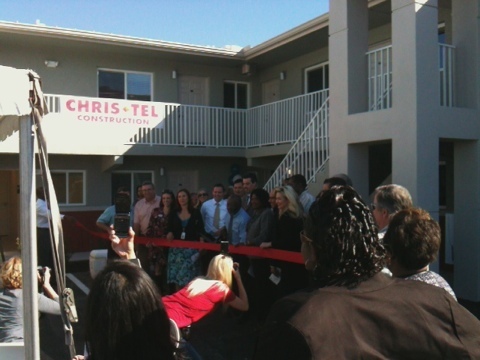 Congratulations to The Foundation, Chris-Tel Construction, and all of the project partners!